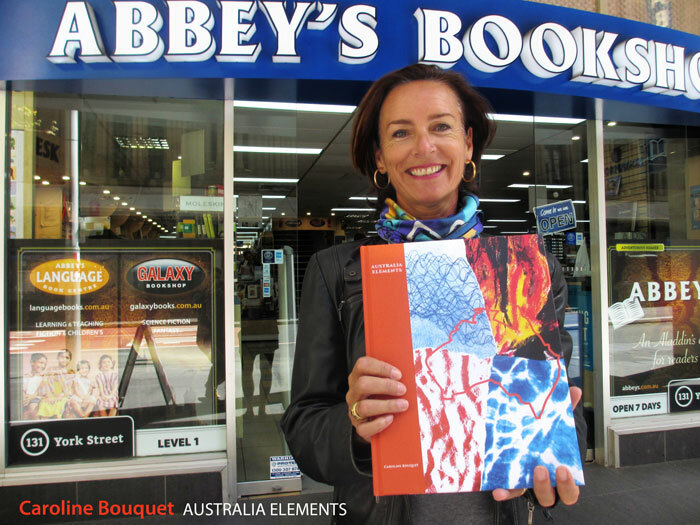 If you love the French language and fine art then treat yourself to French-born artist Caroline Bouquet's new French & English bilingual book, Australia Elements! In Australia, the elements dominate our senses. Fire, Earth, Wind, and Water – they bring awe, silence, fear, contemplation, beauty, all at once. Australia Elements presents the creation and identity of today's Australia through its maps, histories and myths. “Australia, an island like no other,” the book begins. Its mystery lies in its extremes, vastness, and isolation. Caroline Bouquet, author of Mapping Sydney, continues to delight. Her sensitive text and exquisite drawings embrace the powers of nature, and the expanses of time and space.